If you have an opportunity to work with your very first coaching client, and you're asking yourself "WTF do I charge this person? ", then read this article very carefully. Because the truth is, your pricing matters. When you offer coaching to a potential client, you're asking them to part with their hard earned money. They had to exchange valuable time and energy to make that money. And now you want them to give it to you and trust that you'll deliver the goods. On the flip side, you're going to have to spend your valuable time and energy with this client if they end up saying "Yes." You could be spending that time and energy in other ways and with other people. And so you don't want to devalue that either. If you price your coaching too high, you may never get a chance to help that person. But if you price it too low, you might never be able to build a sustainable business or work with clients who are truly committed to doing the work. No wonder pricing stumps so many new coaches. Don't worry. Coach Greg's got your back. And I promise not to talk in third person anymore. In this article, I'm going to tell you the minimum that I recommend charging when you start out and then I'll show you how to adjust that number depending on a variety of factors. But first, I want to share with you the real reason why pricing is such a challenge for new coaches. One of the hardest parts about being an entrepreneur is that you don't get much in the way of external validation. You don't have a boss to say "Yes, this is how much we charge clients, and you are qualified to charge that much on our behalf." Of course, you do get some external validation over time. You'll be more confident once you've worked with a few clients and collected some good case studies. You're probably thinking, "That's cool Greg. But the whole reason I'm reading this article right now is because I don't have those case studies. So what do I do now?" What you have to do is validate yourself. You have to give yourself permission to get paid for supporting this first client. One thing that can help a lot here is to look back at your own journey. Hopefully, you've had some experience in the area you want to coach on. 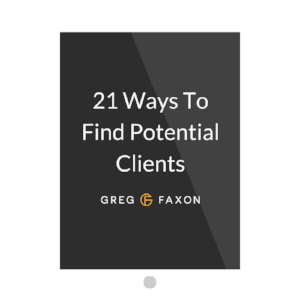 You may even have achieved the exact result that your potential client wants to achieve. If that's the case, then use your own story to bolster your confidence. If you've done this thing, and you really care about helping other people do it, then you're going to provide a lot of value to this person. Imagine if you could have hired yourself as a coach back when you were still figuring this stuff out. Would you have been willing and able to pay for that type of support if you knew it would help you reach your goals? If so, how much? If you wouldn't have considered hiring your future self as a coach, it might be worth reconsidering your niche. Is this an actual problem that people want to get solved? If you need a sanity check, here are 21 proven and profitable coaching niches. Otherwise, think about what it would have been worth to you to shortcut all of those mistakes and not waste time and money figuring it out alone. Now write that number down. Actually do it now. Get a piece of paper or open up a doc on your computer. Do you have a number written down? Good. Now tell me, what does that number represent? What are you actually paying for when you invest that money in coaching? The answer is that you're paying for an outcome. You're investing in the result that you hope coaching will get you. Same thing with your potential clients. At the end of the day, people don’t invest in coaching. They invest in a future vision that they are emotionally committed to. And so instead of charging by the hour, we want to charge based on how much your potential clients value that outcome. This is why it's difficult to recommend one standard rate to charge when you're starting out. Because a coach who can help you organize your closet probably isn't going to get away with charging the same as one who can help you start a profitable business from scratch. The second outcome is just worth more to most people. But wait: If we're not charging by the hour, how are we going to structure the coaching engagement? Why I Recommend You Create a Coaching "Package"
We've already talked about why the first option, charge by the hour, doesn't make a lot of sense. If I'm a potential client I have no way of knowing how much time I'm going to need with you in order to get results. And results are what I'm paying for. So unless the result I want can be achieved in one session, let's do something else. Option two, charge by the month, is a better option. It still doesn't give the client a sense of how many months they might want to work with you, but at least it has them commit to an ongoing relationship. Meaning that you can help them make more progress and you can get paid more. The only time I recommend charging by the month is after you've already done some work with a client. If they would still benefit from support and momentum, then you can offer them a monthly retainer. For now, ignore the first two options and focus on charging by the package. A package is usually a two, three, six, or twelve month agreement that is focused on achieving the result your client is after. They can be paid upfront or monthly, but with the agreement that you will work together for a set period of time. Packages actually align with the results they want. If you're realistic when you put together your package, it will actually align with the result that your potential client wants. This makes it easier for the client to invest in because it feels more logical and tangible. It also forces you to step up and be a results-focused coach. Packages ensure that you have enough time to get traction. If you charge by the hour or by the month, and the person gets frustrated early on, then you may not be able to help them push through the dip. By having people commit to 2+ months upfront you are filtering for more serious clients who will get better results. Packages give you more money and more peace of mind. You don't want to be worried that if you have an off day all of your clients are going to cancel at once. With packages you can forecast your revenue and spend less of your time selling. Okay, so maybe you're a little nervous at this point but hopefully you're sold on the idea of packages. You'll also want to put some thought into the main areas you'll work on together. These can be uncovered during an initial consult or you can simply brainstorm the 3-5 biggest obstacles that your clients will face as they work towards their goals. Don't create a whole detailed curriculum, just be able to articulate broadly what you might be working on during those sessions. Step 2: Find your pricing "sweet spot"
Now I want you to go back to that number that you wrote down at the beginning of this article. Would you be willing to provide the coaching package above for that amount of money? Go with your gut here. If you would feel resentful, then you need to either raise the price or change the package. If you would feel scared out of your mind, then you need to lower the price. The goal is to feel excited (and maybe a little bit nervous) about the possibility of charging that much for your first coaching client. As a reference point, I recommend charging at least $500/month for your coaching as soon as possible. So for example, if you put together a three month package for someone then they could either pay $500 per month or $1350 upfront (a 10% discount is standard if you want to incentivize upfront payments). The exact amount per month you charge and the number of months you package up will depend on your niche and your confidence level. For example, if you are a business or career coach it makes sense to set your rates at a level where the coaching will at least pay for itself. With health and relationship coaching it's a little bit more difficult but you can still try and quantify the return on investment. When in doubt, charge less. You want to start getting clients, creating case studies, and building confidence as soon as possible. Just make sure you choose a price that encourages both you and the potential client to step up and make things happen. You're not doing them any favors if you charge $50 a session and no one takes it seriously. I've given you a ton of information in the article. Not to make you more confused, but to help you get some different perspective on what to charge your first coaching client. At the end of the day, we're all making this stuff up as we go. Charge whatever you want in the beginning. The important thing is that you pick a number and that you continue raising your rates as you become more experienced. It's also worth mentioning that you don't have to decide on your prices before talking to a potential client. You can always have an enrollment call and then set a time aside to talk about what it would look like to work together. This gives you some time in between the two calls to create a proposal. I wouldn't recommend this as a long term strategy but for your first one or two clients it's okay. So that's it! Go out there and get some paid clients. Even though your prices will go up over time, nothing feels as good as hearing that first "Yes." Note: This whole article hinges on the assumption that you have value to deliver. You don't need to have a certification or anything. You just need to be able to help a client move forward faster than they could on their own. It's totally normal to doubt yourself a bit at the beginning, just make sure you're not scamming people.